4.9 out of 5 based on 656 ratings. 8" × 8" 20" × 20" 24" × 24" 28" × 28" 30" × 30" 36" × 36" 40" × 40" 47" × 48"
paintingandframe.com is one of the largest giclee printing companies in the world experience producing museum-quality prints. 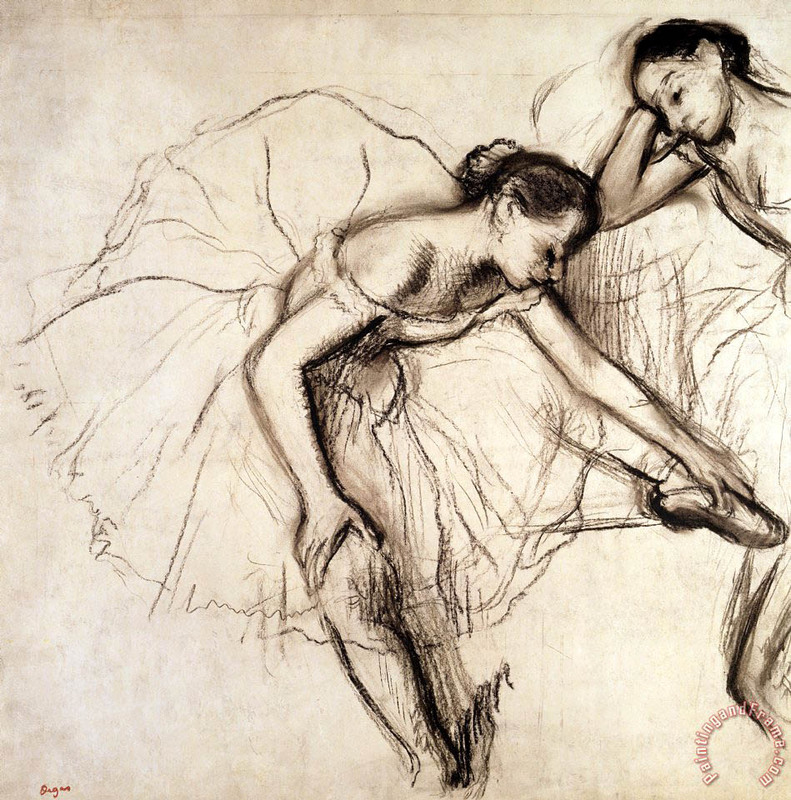 All of our Edgar Degas Two Dancers Resting prints are waterproof, produced on state-of-the-art, professional-grade Epson printers. We use acid-free cotton canvas with archival inks to guarantee that your prints last a lifetime without fading or loss of color. Edgar Degas Two Dancers Resting art print includes a 2.5" white border to allow for future stretching on stretcher bars. Two Dancers Resting prints ship within 2 - 3 business days with secured tubes. If you're not happy with Edgar Degas Two Dancers Resting that you made on paintingandframe.com, for any reason, you can return it to us within 50 days of the order date. As soon as it arrives, we'll issue a full refund for the entire purchase price. Please note - paintingandframe.com does not reimburse the outgoing or return shipping charges unless the return is due to a defect in quality. If Edgar Degas Two Dancers Resting is printed by machine on textured canvas, it takes about 5 working days to your address; if you choose it as hand painted reproduction, it takes about 18 working days to your address. Please keep in mind that all of our products are waterproof on textured canvas! We ship Two Dancers Resting all over the world.